Anyone watch the latest episode of "Modern Family"? I love that show. Its the one where they decide to celebrate Christmas early and they go to Target shopping for gifts and I saw the one end of the aisle stacked full of Simon Flash and I excitedly said, "I have that! Its so much fun!" I love games and it really doesn't matter how old I am but Simon Flash is the newest Hasbro game that has something called "Wonder-link" technology with it. It works your memory and hand-eye coordination skills with 4 tiles that you shuffle and swap at SIMON's command. It a unique fusion of Simon Says and modern technology. So these 4 tiles allow you to play 4 different games. Simon Classic which is just repeating the growing sequence of colored lights. Simon Shuffle where there's a pattern of lights revealed and then shuffled and players try to arrange them back into the original pattern. Simon Lights Off where players line up the tiles in the correct order to turn all the lights off in a timed 90 second game. Simon Secret Color makes players rearrange the cubes until they all light up in the same color. I really enjoyed the game and its fun by yourself or challenge your buddies. Suggested for ages 8+, I can see this being an addictive game for people of all ages! Each tile uses 2 AAA batteries which are included with the package for 8 total batteries. However, I'm not sure how fast these batteries will be used up so that would be my only precautionary point. At the same time, it comes with this travelling case which fits all four tiles in and makes it convenient for on the go. So, if you need something on that long trip to your family this holiday season, this could do the trick. Buy It: Shop online or in stores for Simon Flash ($29.99). 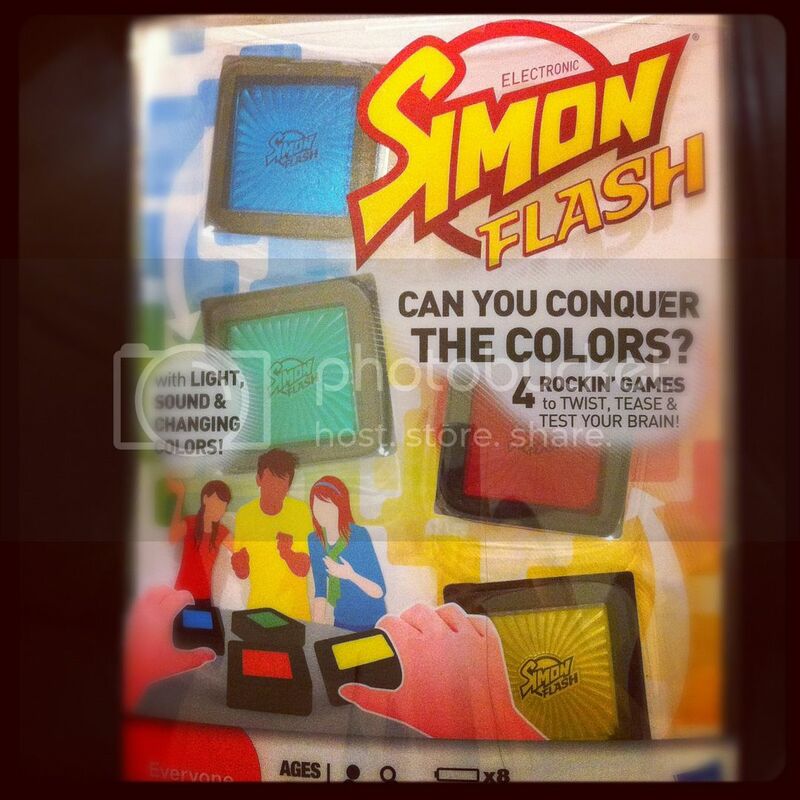 Win It: 1 Whirlwind of Surprises' reader will win a Simon Flash for themselves!! Come back to enter the giveaway! Make it easier on yourself by showing the sponsor some love now: Like Family Game Night on facebook. Follow @familygamenight. How fun! Simon used to be one of my favorites as a kid. I bet Shuffle mode is a blast! Thanks for sharing. Love all these wonderful giveaways. Would get this for my grandson, but probably his uncles would play with it as well. this looks so fun; i've played the original one and loved that so i'm sure i'd enjoy this- so would my family!! i love that it comes w/ a traveling bag. I'm excited to play this. Hope I can steal it from the kids once in a while. I entered to win on your giveaway post. Thanks! This games sounds like a great family game. I absolutely loved the original Simon. Can't wait until I try this one.